Do you have championship DNA? When you are looking at the Super Bowl, Olympics, or NBA Finals I know one of the nagging questions is what separates the great from the gifted. Championship DNA starts with what your parents gave you that will result in how your physical development evolves. Will you have fast twitch muscles, because that will send you on an athletic pathway towards playing table tennis based on those attributes? Will you have slow twitch muscles, because that lends itself towards a style that maximizes having a higher level of skill over ability? Will you have a huge aerobic engine that allows you to operate at a high output for a really extended time? If so, you will be able to be the last man standing on many occasion because you can simply physically outlast your opponent. Will you have an infinity amount of horsepower that allows you to be as explosive as a boxer? If so, you will be the type of player that run off some of the most devastating attack shots to even a match dramatically, or take over in the most evocative moment. Those are some of the physical attributes that are needed to be at all competitive at the high level in Table Tennis. If you are not physically talented, then you are going to need to be mentally and emotionally gifted. Having this type of talent means that you have a very high capacity to visualize how your performance should go. This means you can paint a vivid picture of what you expect from yourself based on your physical ability and the experience gathered so far. This is not arrogance at all. The nature of sports requires that someone be first, and someone be last. Inside your mind you just can’t see yourself being last. Being at the front, winning, being victorious, and standing on the top spot is a mental picture you have painted. Where the emotional aspect of your make-up comes into play is when you face resistance to the mental picture you have created with regards to what you expect from yourself. The really emotionally gifted athletes are able to will themselves into the performance that they have painted in their mind. The more resistance they are faced with, the more the athlete is able to push through to fully actualize the full potential of their emotional capacity right in the heat of battle. This is how you can see a really confident look on an athlete’s face when absolutely everything is on the line. You can only see that because they are only able to visual that picture, regardless of the moment they are in. Where you have seen the most dramatic sports moments is when you have seen someone emotionally fall apart right in the middle of competition. The first time that I really witnessed this was for the 1992 Olympic trials went Dan Obrien failed to quality for the Olympic decathlon. There was a huge sports campaign asking the public would they choose Dan or Dave leading up to the Olympics. Dan had an emotional breakdown on the pole vault for a height he needed to clear that was preliminary. This emotional brain fart was the by-product of looking at who would win the Olympics before he had actually even made the Olympic Team. He was number 1 in the world, but he hadn’t painted a strong enough picture about what he would do if he faced resistance. What made it even more dramatic was the resistance that he experienced, came from within him. He was not being pushed by anyone during a preliminary qualifying pole vault. He had a picture of who would win the Olympics, but he had no emotional playbook with regards to how he would have to overcome any obstacle in front of him during the process. He had to sit on that emotional brain fart for 4 years to redeem himself and he won goal in 1996, which closes the circle and answers all the questions. Had he never come back to win in Atlanta, then he would have spent the rest of his life with that splinter sticking out of his brain. In my career this was something that I was face with and had to overcome. In the 1998 National Collegiate Singles Finals, I was up 20-15 in the fifth against Sean Lonergan. Something shifted in my head and I lost 7 points in the row to lose 22-20. I knew exactly what happened that was responsible for the emotional breakdown in the match. Before the finals a player from MIT offered to buy the Newgy Robot that is awarded to the winner. When I won the point at 19-15 to go up match point, I started looking for him the crowd. I was ready to collect my $600.00 for the robot. That collapse in focus is what is responsible for me losing 7 points in a row, even 4 kills shots that were way above my shoulder. It was the first time in my career that I didn’t sleep well for over 2 months. I got back to work and started focusing really hard in the heat of battle at staying in the moment. The next year I was convinced that I was the best Collegiate player and I would prove that I could go back to this same place and produce the right kind of result that would that was opposite. What I learned over that year was to focus on the competition, and not the result. When you are focused on the competition, conquering the style is the theme. When you are focused on the result it is too shallow, because you are just looking for the victory. Focusing on the competition, strategy, and tactics is exactly how I was able to win the Collegiate Singles with any kind of emotional breakdown. Emotional breakdowns are everywhere and they are hard to pinpoint in the heat of battle, and even more of a challenge to overcome if you can’t compartmentalize every aspect of your performance. Mike Tyson is another example of an emotional breakdown. During his boxing Mike career Tyson was one of the most feared boxers. If you watched his fights there weren’t many of his opponents that were willing to stand toe to toe and fight him. His first real emotional challenge came by way of Evander Holyfield. He was the first fighter to stand in front of Mike Tyson and throw punch for punch. In fact, he bullied Tyson by pushing him around, laying on his shoulders, and locking up his arms. Instead of digging deep to force his mental picture of the performance, he had a flight moment. He escaped the moment by biting Evander’s ear. The fight continued and Tyson cemented his flight moment by biting Evander’s other ear. Mills Lane stopped the fight, but what he did was let Tyson off the competitive hook because he had no response to Evander’s picture he had painted about his approach to this fight. The next year they fought again, and Evander stopped Mike Tyson and scored a TKO. Even without the flight moment Tyson still couldn’t will himself to create another picture when faced with the emotional resistance. It is overlooked but the mental and emotional aspect of your sports development is also a muscle you have to develop and tone just like your arms or legs. If you are not dealing with what your parents passed on to you, or what you have had to development inside your mind, then the only other development is the technical supremacy. Table Tennis is made up of so many intricate skillsets, that it will take years to master them all at a level that can be considered elite. Hours and hours of training on the table until you have absolutely chiseled out a masterpiece with regards to your skill development. That means no one can simple walk on the court and beat you because your skillset is weak or erratic. When playing a lower player, the higher player simple expects for the lower player to have some type of collapse. If you have mastered your skillset then a player that is better than you will walk away from the match knowing they actually had to be better, instead of your skill development failing you. The last piece of your championship DNA is making your technique perfect. One of the main aspects lacking in table tennis is access to quality training that can put the player on a steep incline to improve. Most players don’t have a true understanding of how to analyze their performance. There is a big pie to dissect when they are looking at whether their performance leans towards improving the physical aspect, the mental and emotional aspect, as well as the technical aspect. This is what leaves players frustrated and ensure about what direction they need to go in. Also, in US Table Tennis, one of the biggest obstacles is having a consistent competition environment. Playing tournament is the way you can test the state of your Championship DNA. Tournaments are usually months away, which don’t allow you to fully polish off the aspect of competing to a point that the entire process is transformed into a well-oiled machine. Another obstacle is the US Rating system that has parents and players afraid of losing rating points because it can dramatically affect sponsorship, or placement on a team. Championship DNA trumps all of those pitfalls because it is about what you are made of, instead of where you currently are in your development. If you are interested in reaching your full potential in Table Tennis, then you are going to have to exhaust every possible avenue of improvement until you know there is nothing left to analyze. 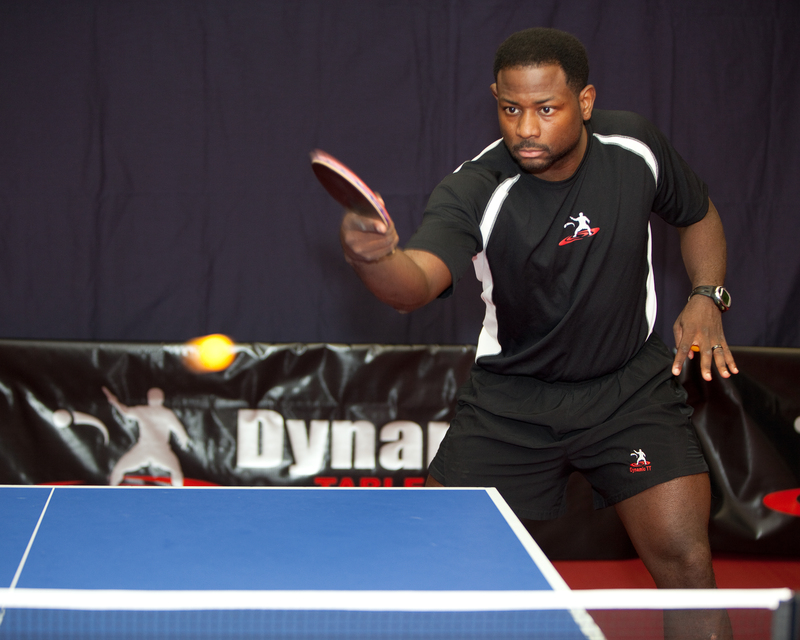 Championship DNA is in every person, so go out there and reach your “Table Tennis Potential”. See you on the table.